As the seasons begin to change, you should make the change in your career that you desire! As a GNC Franchisee, you enjoy the flexibility of being your own boss and the reward of working in an industry that helps people live well. Even better, GNC minimizes your risk by providing outstanding operational support including training, marketing, and sales and merchandising assistance designed to maximize your return on investment. Entrepreneur magazine has ranked GNC the #1 franchise in our industry for 23 consecutive years—and these savings make now an even better time to join GNC in the fast growing 27 billion dollar health and nutrition market! Don't miss this incredible opportunity to join a thriving company in a booming industry! GNC provides comprehensive classroom training at our world headquarters and on-site support to fully assist you in your new GNC store. Marketing, sales and merchandising support are designed to help you achieve maximum return on investment. Please note this franchise is not accepting inquiries from outside the United States. Interested parties should have at least $80,000 to invest. Click on Request Information for FREE info on how to open a GNC Live Well franchise today! Please Note: This GNC Live Well franchise opportunity and other franchise business opportunities, businesses and franchises for sale on this web site are not to be considered as an "offering", "franchise offering", suggestion or recommendation by Franchise Leader™. This advertisement depends entirely on the truthfulness of the information provided by our advertisers which includes, but is not limited to, franchisers, franchise brokers, franchise consultants and business brokers. 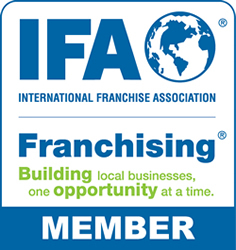 Franchise Leader™ recommends that you consult a lawyer, financial consultant, accountant or professional advisor before buying a franchise or business opportunity or any type of business. By using this form or any part of our website, you have agreed to all terms and conditions of Franchise Leader™. Please review our Terms & Conditions for more information.